I was cutting up some brush last week with a generic pruning blade chucked into a Hackzall and I wasn’t making quick progress like I had expected. Just halfway through a 2″ branch, the blade started smoking. Plus, the tip was whipping about everywhere, making the cut even less efficient. I’ve used carbide tipped Milwaukee Ax blades for pruning, but while they work fairly well in wet wood, I’ve found they tend to gum up, making them less effective. I figured a proper pruning blade would make much quicker work of tasks like this — I guess I was wrong. So I started wondering if the Diablo carbide-tipped pruning blade was available anywhere yet. There was news of it last year, but I hadn’t seen indications that it was being sold yet. 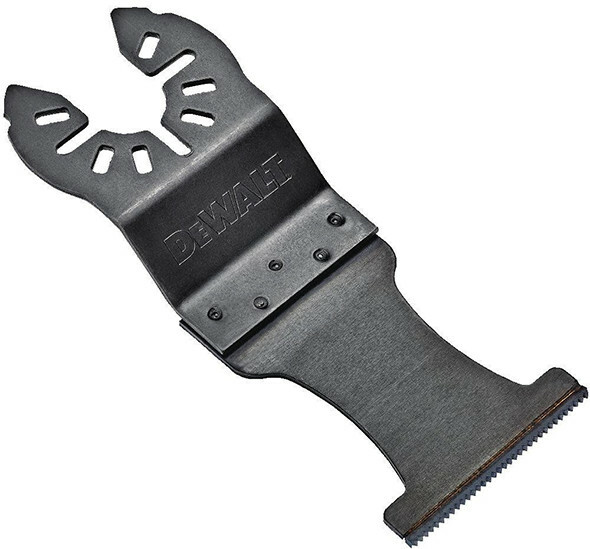 A few days later, after several of the other tool reviewers I follow said they had seen them in stores, I found the Diablo Demo Demon Carbide Pruning blades at a local Home Depot. These blades are designed for either pruning or cutting through clean wood — read no foreign objects like nails or screws. Diablo says these blades will cut 50X longer than standard pruning blades. The 3 TPI blades have large gullets between the teeth to more effectively clear debris and are coated in Diablo’s non-stick Perma-Shield to reduce friction and gumming. The 9″ model will run you $9 for 1 blade or $24 for 3 blades. The 12″ model will cost $12 for 1 blade or $32 for 3 blades. All four options are available on the Home Depot Website and at Ohio Power Tool. I’ve seen several people say they are carried in their local Home Depot stores, plus I just picked up a 9″ blade myself last Saturday. Even though I had already dumped all my brush, I still found a few thicker 2″ sticks on which to try the new Diablo carbide pruning blade. So I chucked the blade into a Hackzall and started making a few cuts. I was really impressed with the blade. It cut very quickly and left a clean cut. At no point did it start smoking or flexing like a whip — it stayed straight and rigid. I don’t have any more pruning work to do just yet. I’m waiting for sustained below freezing weather so I can do some trimming on my Red Oak trees (so I don’t accidentally expose them to oak wilt.) I’m looking forward to giving the Demo Demon carbide pruning blade a more sustained workout. « Best Safety Glasses for Kids? 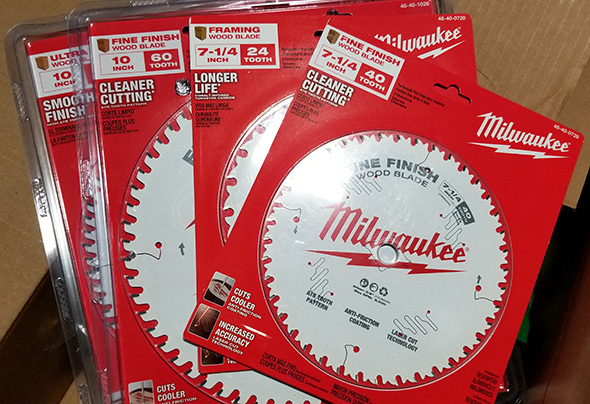 I do arborist work, and use the Milwaukee swiss made 9″ & 12″ Pruning blades with 4/5TPI for small tree work and pruning as well as they work great for cutting roots in the soil for small tree /Bush removal, but they are toast after that but in bulk the 12″ run about $5 ea for 5 blades. The Diablo with Carbide teeth looks interesting for root removal, by cutting in a circle (large trees you may have to dig some) you can free the stump. The Milwaukee blades are a lot like a Bow saw blade, I use it with my 12V Fuel Sawzall. Price is about right. Do you think you could get say 3 times the life out of this vs a standard pruning blade? Seems that would make the price right, or even a better buy. I’m too rough on my pruning blades to buy anything but the cheapest ones. They usually get bent or dulled from hitting fence wire before they manage to dull from cutting wood. It really depends on the type of carbide and how it’s welded, but you may very well be able to hit the wire and not damage the carbide. Other carbide blades like the Ax (what I have experience with), can cut through metal all day and still stay sharp enough to work well. I doubt that you’d be able to make much progress cutting through the fence wire though because of the deep gullets between the teeth, I think the wire would get caught and you’d just shake the wire. I have never tried pruning (with or without a special blade) with this type of tool, because it seems to me that short stroke length on both my sawzall (1.25″) and especially the hackzall (0.75″) will keep the same teeth (and more importantly, the same gullets) in the branch and unable to clear the chips. I guess the lower TPI on these pruning blades helps somewhat? Do folks find they you need to lift or rotate the blade to clear as you cut? I move the blade back and forth after I get it going. I did’t just pay for the first couple inches after the shoe, and I’m rarely cutting anything that takes the whole blade. I thought the pruning have deep gullets to assist with chip removal, but I could be wrong. I wouldn’t go back to pruning with anything but my (Fuel) hackzall. The only downside, though true for any blade but seems more so here, is after longer continues use, the blade heats up & is much easier to lose it’s straightness. It helps if you include some amount of manual sawing action to help clear the dust/chips. I have had pretty decent luck with pruning with recip saws but bracing in one spot on a medium to small branch can result in the branch moving with the cut and not clearing the debris. I only use my sawzall which is the big model – when I need to cut into something substantial. and yes it will wear only a few of the teeth on a cut. but I do work different parts of the blade depending on my reach. I know, I know – you should always have the shoe firmly against . . . .. And I would agree but when I’m leaning into a bradford pear to cut away some pieces – if I end up reaching it with the middle or end of the blade – so be it. I sort of which and might buy a short blade and a long blade. right now I only use the one and it’s a 12 inch I believe. Odd time to launch pruning blades? I guess parts of California, Florida, and other states that don’t really have a winter would benefit but still odd. You usually prune in the winter when the trees are dormant. 2nd that. I only prune things early that may not be so safe to get to once we get our snow. I was about to say timings perfect for midsouth area. stays below 40 long enough – time to start pruning down some things. Here in mn my grandpa says to only prune trees in months with an r.
Sept, Oct, Nov, Dec, Jan, Feb, Mar. that’s a lot of pruning time, more than half the year. You don’t want to prune while the tree is still storing energy it’s roots, so wait until most of the leaves fall off, which is usually later October. It can also depends on the species of tree/shrub. The skil ugly blade works well also. Been out for a long time. $3-10/blade. I’ll have to check these out. I’ve been using a Milwaukee pruning blade that I bought at ace hardware. It was an alright blade, until I tried cutting through an 8 inch tree with it. These pruning blades have very little if any set, I then started cutting up roots with it so it came into contact with dirt and rocks. It still cuts but it’s not like a new blade. I’m going to try sharpening it with my dremel. I think diablo may have done good here as it looks like the 9” blade is just under twice the price of the Milwaukee blade. 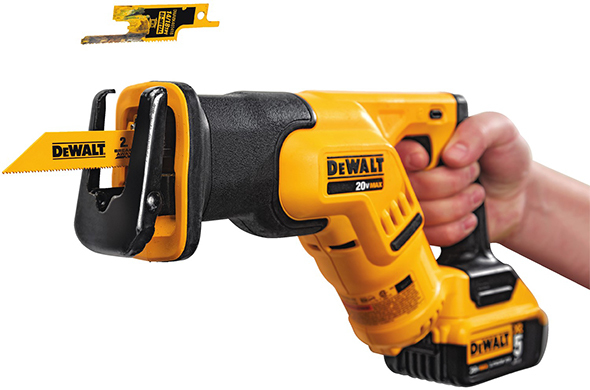 We have been stocking and selling these at The Power Tool Store since they came out and I use them personally. The packing they are sold in indicates that they last 50 times longer than the competitive blade and both my customers and I have found this to be true 99% of the time. I have even had customers using the metal version of this diablo blade report it lasting 100 times longer than the Milwaukee Torch. Good time to launch a pruning saw blade – winter clean-up. I do trail maintenance work with several hiking clubs, and on our land. Rep saw pruning saw blades are great for clearing nuisance down trees. You don’t need to gear up like with a chain saw plus you can use them solo. With a chainsaw we have to have a sawyer and a swamper. The Milwaukee 9 Ah battery makes a big difference in run time. The teeth on this Diablo blade aren’t pruning saw pattern. BUT the stiffness is important and will probably offset the higher cost per blade. The Milwaukee and Diablo pruning saw blades are really whippy. So you need to keep the shoe tight to the cut, or the blade quickly gets bent. And if you have to do 10″ plus stuff, or the nose of the blade hits wood, the blade will get bent. I also rock the blade, sometimes like a chainsaw, I stop and put some bar oil on. Yes, the blades will get pretty hot when they are run for 5 plus minutes while cutting through a tree. Good thing the true pruning saw pattern blades aren’t that expensive in bulk – one might get 6 to 12 cuts on the 8″ plus stuff. Small stuff I can go for a long time, dozens of cuts. I save the used blades for gardening and trail building – dividing perennials, cutting roots when digging stuff up. I will have to post a couple of videos of me cutting up some 12″ plus stuff – one was done with a 12″ pruning blade, one was done with a 24″ Lee Valley Folding Trail Saw, Item PB340. It took me about 7 minutes to cut through a ~12″ dia down tree either way.